High quality lowering kit for Suzuki SFV650 Gladius. Drops the rear suspension and lowers the seat height by 1.6″ inches (40mm) will fit all Suzuki SFV650 Gladius models from year 2009 to 2016. Must have accessory for shorter riders who otherwise struggle to reach to the ground. Supplied with installation instructions. Easy to install with basic hand tools. The lowering links in this kit replaces the standard suspension links “dogbones” in the rear suspension linkage and drops the suspension by 1.6″ inches. A lowered bike will also have a lower center of gravity which makes it easier to balance and handle the motorcycle with confidence. The front forks are lowered by moving the front fork legs upwards in the triple clamps to keep the handling neutral – you do not need any additional parts for this. 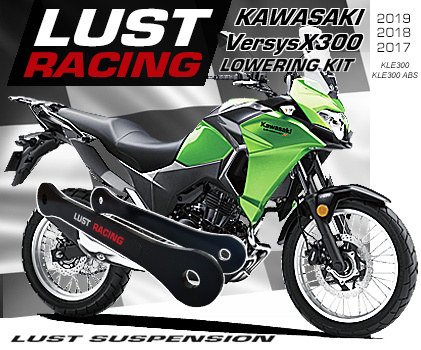 How to install the lowering kit and how to lower the front forks is described in the installation instruction that comes with the kit. 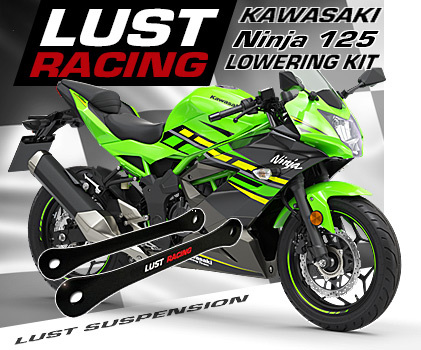 This is a high quality lowering kit from Lust Racing with lowering links made in roll forged steel, stronger than the standard links on the motorbike. Manufactured in Europe. must have modification for shorter riders! 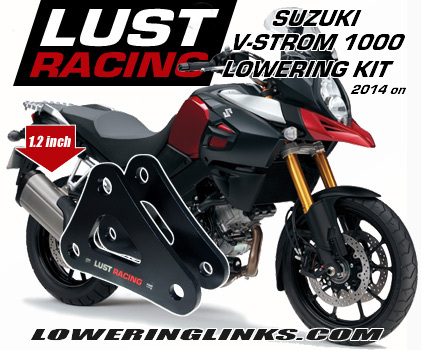 Order your Suzuki SFV650 Gladius lowering kit today!